Split heat pumps have been available with two-stage cooling for years. Until recently however, only Trane had a multi-speed packaged heat pump. The Lennox LRP16HP is one of the newest dual-stage rooftop heat pumps on the market now. In fact, the LRP16HP offers so much bang for the buck, the owners of Magic Touch Mechanical bought one for themselves! They also equipped their new unit with the optional Lennox Health Climate PCO air cleaner. The LRP16HP’s efficiency ratings make it one of the most efficient packaged heat pump’s on the market. The majority of rooftop units being sold in Arizona today are only 14-SEER. It’s no secret that we are big fans to dual-stage heat pumps. The Magic Touch Mechanical offices are covered with awards for installing more of them than any other AC company in Phoenix, AZ. We’re fans because they just make good sense. Single-speed units which use 100% of their power no matter the temperature. Two-stage heat pumps have a high and low speed which means better comfort and efficiency. 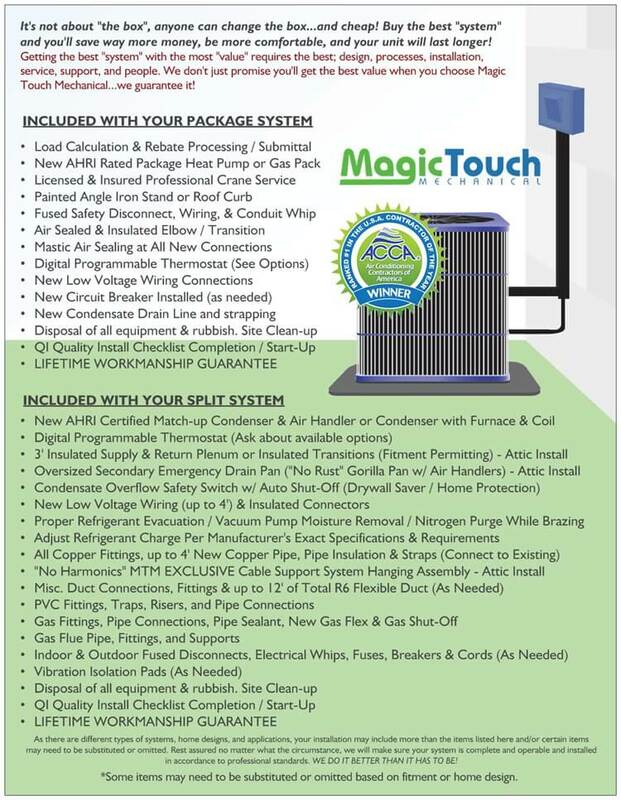 We practice what we preach at Magic Touch and have 2-speed heat pumps on our offices and homes. The LRP16 heat pump sound ratings are relatively quiet for a rooftop unit. The two and three ton models measure in at 71dB (decibels) and the four and five ton units, 74dB. The LRP16 is Lennox’s most premium packaged heat pump. As we’ve come to expect from all of Lennox’s top models it packs plenty of great features into a small footprint. Variable-speed blower motor – Delivers more efficient perfromance, reduced drafts in the winter, more even temperatures in the summer, and better indoor air quality. Louvered coil-guard – Protects the coils from the elements and keeps them cleaner for better efficiency and lower maintenance costs. Internally mounted outdoor motor – Reduces noise and vibration. Indoor Air Quality Ready – The LRP16 comes prewired for the Lennox Healthy Climate PCO for cleaner air and odor removal. The Lennox LRP16HP packaged heat pump is backed by a factory 10-year warranty on the compressor, coils and functional parts. We have a policy at Magic Touch Mechanical we call “Options not ultimatums”. What we mean by that is we don’t “push” one brand on our customers like our competitors. 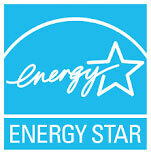 We recommend Trane, Lennox, Franklin, Day & Night, Mitsubishi and more. That said, we love the Lennox LRP16HP! 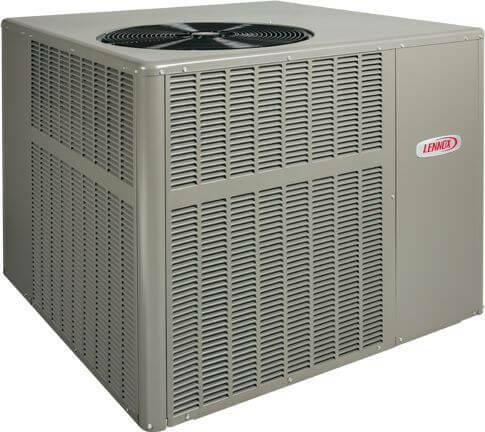 Prior to its introduction we thought the Trane XL16c was the king of all packaged heat pumps. Unfortunately, the 16c is also one of the pricier packaged rooftop heat pumps available. The LRP16HP is one of the best value’s in its class. We give it two thumbs up! How Much Does the Lennox LRP16HP Cost? Installed pricing varies depending on where you live, and specific application. Expect complete installation of the Lennox LRP16HP packaged heat pump to range between $6,000 and $7,000 including tax – before rebates, promotions, and local utility participation. (Depending on size, upgrades, factory rebates, tax credits and contractor promotions).